Looking "where to sell my Triumph TR3?" Ask the Chicago Car Club! Are you wondering "where to sell my Triumph TR3 ?" The Chicago Car Club is interested in classic cars of all makes and models, especially a Triumph TR3. 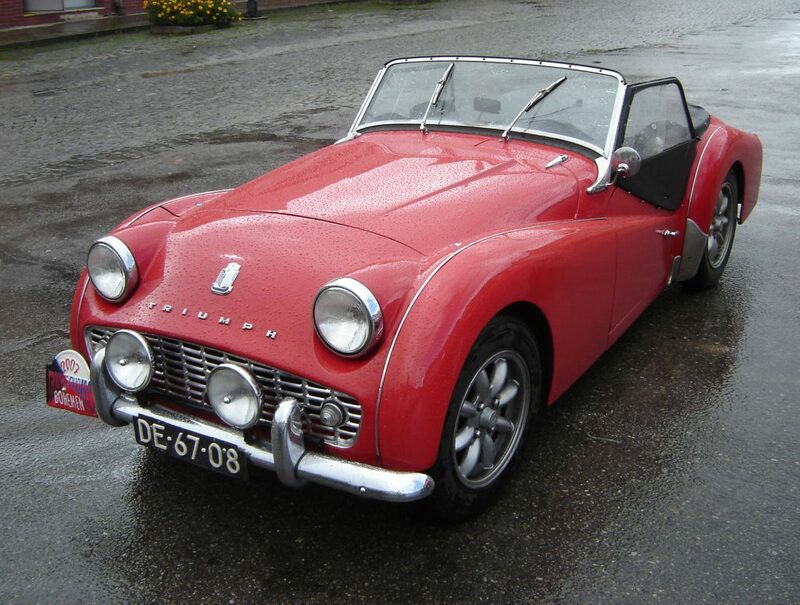 We make the process of selling your Triumph TR3 quick and painless. In just a matter of hours we will have your classic valued and, if you do so choose, turned into money in your pocket. All it takes is a phone call or electronic inquiry to get the ball rolling. The Triumph TR3 was introduced by Triumph Motor Company in October 1955 to succeed its predecessor, the TR2. With an improved 1991 cc, straight overhead valve engine, power was up to 95 hp. With a four-speed manual transmission and a top speed of 110 mph, the TR3 was a sporty little car. When it came to market in 1955, the TR3 had an independent suspension with a live rear axle and drum brakes at all four corners. Triumph then, in 1956, made the improvement of switching to front disc brakes, a first for them. The low-cut doors and lackluster weatherproofing put the TR3 at a disadvantage as far as practicality as compared to its competitors. The TR3 was a success, with about 13,000 cars being manufactured between 1955 and 1957. Ninety per cent of these were sold in the American market. TR3 had optional equipment such as a hard top, wire wheels, overdrive and rear seats.